as a Fond Remembrance of this Very Special Day. This Irish baby bib features a white on white Celtic cross; it will make a grand Christening bib. The Celtic cross bib is make of polyester satin material and measures 6" wide x 8" long. 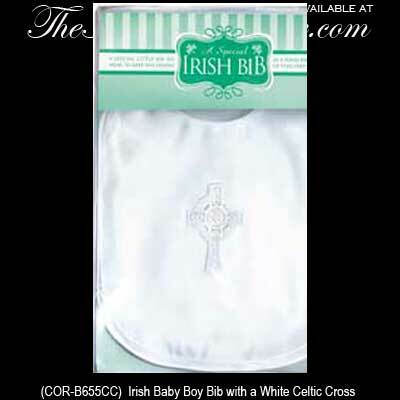 The Irish boy's Christening bib is gift boxed with a Celtic cross history card, complements of The Irish Gift House.